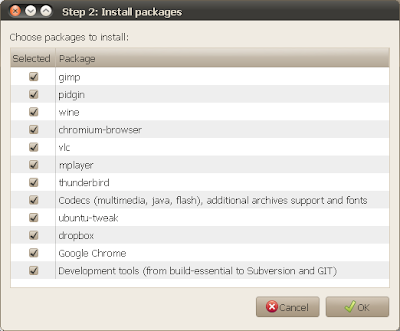 If you liked the script in our "What To Do After Installing Ubuntu 10.04 Lucid Lynx? Run This Script!" post, you'll be glad to know that version 0.2 is out. Fix Google Chrome repository slowness for "apt-get update"
added a new Gconf tweak: disable the GDM login screen user list - I find it a security leak for Ubuntu to display your username when logging in. the script no longer removes Empathy and the central-european settings for MPlayer and Totem have been removed. it now requires you run it with "sudo"
Please note: We're doing my best to make sure everything works but there might be errors. If you encounter any errors, please let us know in the comments! I've changed the download link but the old link still works and it points to the 0.4 version even if it's name is v0.2.